Let’s just concede that Silicon Valley is the biggest hub for Web activity, and that it has some real advantages over other locales in terms of engineering and programming talent, fundraising and industry attention. But Silicon Valley’s tech-centric view –which is less oriented towards media and content smarts and culture doesn’t always hit the bull’s eye. We certainly find a lot of talent in Seattle, Boston, Austin, New York, Washington, Chicago, Los Angeles, Atlanta and Salt Lake City. There is also fantastic new activity in countries like the U.K., Germany, Finland, Israel and China. But can countries without a core tech center also cut it? A significant challenge is posed by the countries of the Middle East, including Turkey, Egypt, Jordan, Lebanon, The UAE, Kuwait and Saudi Arabia. Former Washington Post. Newsweek Interactive and HealthCentral CEO Christopher Schroeder, in his powerful new book, Startup Rising, focuses on how the tech community in the Middle East has not only developed a solid infrastructure for new Web and mobile companies, but has been an important driver of democracy and social progress as well. In fact, the new generation is demanding a life and opportunities that its parents and grandparents never had (See Google’s Wael Ghonim’s leadership role in in the Egyptian revolution). Schroeder got involved in the Middle East as an adviser to several companies and as a judge for a State Department startup competition in Cairo. Prior to his direct exposure to the region, Schroeder concedes he probably held the patronizing view of the region as lacking the political and economic freedom, or the culture or technology infrastructure, to develop startups from scratch. It is not just that women aren’t allowed to drive in Saudi Arabia. It is also that the Arab culture itself seemed unable to accept failure. But in studying the startups of The Middle East, Schroeder discovers a lot about the grit of the entrepreneurs who organically build apps based on their real day to day needs; some of them desperate (Amazon-like ecommerce sites, social nets, online education, traffic apps, event guides, restaurant review sites, investor guides) And as he points out, entrepreneurship isn’t exactly new to the Middle East — it has been going on for thousands of years, dating back to the ancient bazaars. Ecommerce especially drives the activity here, as the region moves from a cash on demand culture. 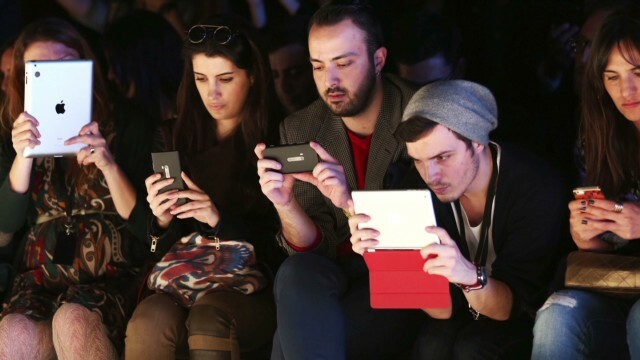 But so does mobile, in its leapfrog over the landline based telcos that have held back the countries. And so do women, many of whom — even in their hajibs and burkas, in some cases — are focused on educating the next generation, and working to develop new services. 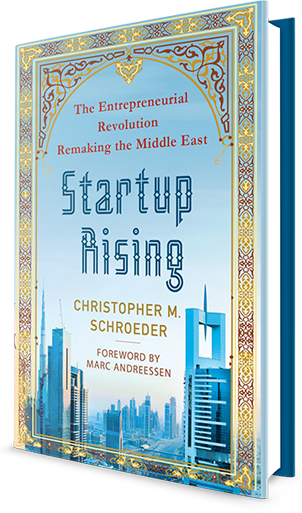 Schroeder points out that the entrepreneurial efforts in The Middle East can be broken down into Improvisers that play off successful sites elsewhere; Problem Solvers that take over roles once reserved for government; and Global Players that can impact any market. Developments in the Middle East, of course, are at the book’s core. But what really makes this book important to the tech community — and a worthy complement to other “startup” tomes such as David Kidder’s Startup Playbook — is that it strips away the hubris and conventional thinking of what has made startups successful in the U.S. Instead, it focuses on the passion and creativity, real needs of consumers, and community that really anchor next generation services. We are proud to announce Chris Schroeder’s keynote at BIA/Kelsey’s Interactive Local Media conference Dec. 10-12 in San Francisco.